On September 18, 2015, a judge of the BC Supreme Court found that that unproven allegations of fraud can be used as a factor to minimize a successful party’s costs entitlement after beating a formal offer. In Gupta v. Doe the plaintiff was involved in three separate collisions and sued for damages. At trial the plaintiff was awarded just over $43,000. Priro to trial ICBC made several formal offers, the first at $90,000 and the last at $164,000. Having beaten their formal offer by a considerable margin ICBC asked for post offer costs. One additional factor which I consider to be appropriate for consideration was the allegation of fraud on the part of the defence in the defence of the 2009 accident. The circumstances of that accident which involved a hit and run driver were included in the testimony of the plaintiff and no explanation was provided by the defence to support this most serious of allegations which subsequently was abandoned by the defence. In these circumstances, it is appropriate that the plaintiff be awarded costs of the action for damages arising from the 2009 action. Such allegations should never be made without serious consideration by the accuser of the ability to be able to prove the allegations. In this case, it would appear as though the allegations could never have been substantiated and as a result, it is a factor in favour of the plaintiff in considering costs. The problem that follows is how to reflect this conduct on the part of ICBC in the award of costs. I have come to the conclusion that this factor, i.e. 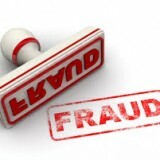 the unproven and abandoned allegation of fraud and the third factor enumerated under Rule 9-1(6), i.e. the relative financial circumstances of the parties should be reflected in the award of costs with a 25% reduction in any amount of costs otherwise payable to the defendants. Accordingly, the plaintiff is entitled to her full costs on Scale B in all three actions to August 14, 2014. Considering the options available to a judge under R. 9-1(5), the factors which may be considered under R. 9-1(6) and all other factors where an offer has been made, I award 75% of one set of costs on Scale B to the defence in respect of all steps taken after delivery of the offer of settlement of August 14, 2014 as contemplated under R. 9-1(5)(d).